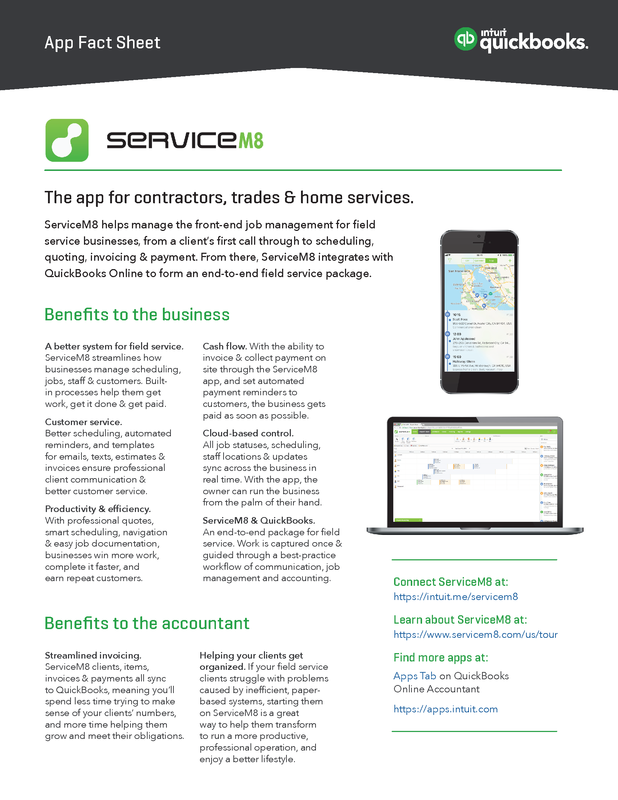 ServiceM8 helps manage the front-end job management for field service businesses, from a client’s first call through to scheduling, quoting, invoicing & payment. From there, ServiceM8 integrates with QuickBooks Online to form an end-to-end field service package. Download a PDF version to review and share with your clients. Editor’s note: Check out this ServiceM8 Case Study and Checklist.